We have a dedicated team of professionals who take the care of your furry family member seriously. We offer a wide range of services including medical, diagnostic, surgical, wellness and preventive health care. We are proud to be an AAHA accredited hospital. Find out what this means for you and your pet. Use our Pet Health Checker tool to help you decide if your pet’s symptoms require veterinary attention and how quickly that attention is needed. Manage your pet’s health care & medication schedule, communicate with us on line and learn more about your pet’s health and life stage issues. Petlocity helps pet owners keep track of their pet’s health. Learn more about the Petlocity app and how to download. Pets Ahoy is a small hospital with a huge heart beating to the rhythm of client education, personalized service and quality pet health care. 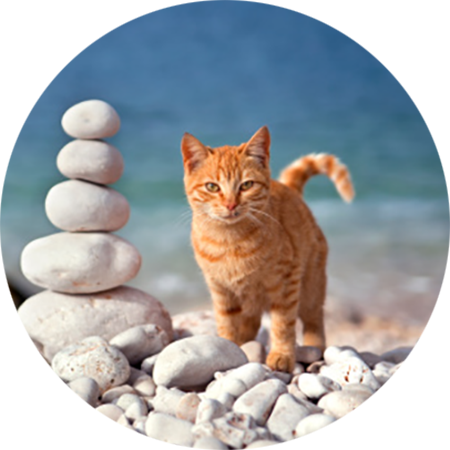 We are an AAHA accredited hospital and pride ourselves with offering full pet health services and cat boarding! We treat our patients and clients like they are family members. Our wellness plans help to make caring for your pet simple through every stage of your pet’s life. Petlocity helps pet owners keep track of their pet’s health. Download the Petlocity App today.